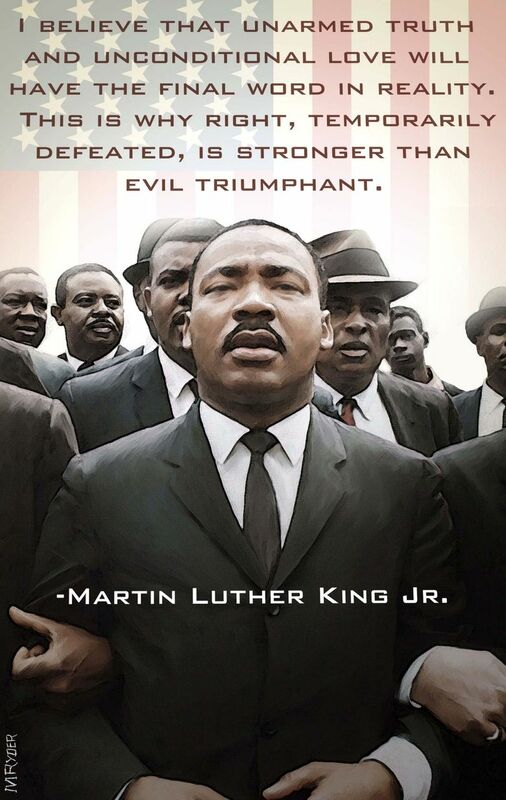 Martin Luther King Jr. is now regarded as one of the greatest men in U.S. history. It was not always so — something we must remember as we look upon modern-day protests against racial injustice. Today Martin Luther King Jr. is regarded as one of our country’s finest examples of moral leadership and courage, renowned for his use of nonviolent protest to provoke much-needed change in an unjust society. He was not always viewed by all as an inspiration, however. During his time, the methods he and other civil-rights protesters used were often considered questionable. This is important to remember as we look on modern-day demonstrations against racial injustice, whether they be football players kneeling during the national anthem or Black Lives Matter marches. Most borrow from King’s method of nonviolent, disruptive protest, yet their efforts are frequently criticized as misguided tactics King would shun. Nathan Gibbs-Bowling, a former state teacher of the year who teaches AP Politics and Government at Tacoma’s Lincoln High School, said people frequently misremember the Civil Rights Movement as being uncontroversial. In reality, one of its key aims was disruption — similar to the protests of today. A 1961 Gallup poll found that 61 percent of people disapproved of the Freedom Riders, a group of white and black activists who traveled together on buses and trains to protest segregation. The same poll found 57 percent thought demonstrations such as sit-ins at lunch counters would hurt African Americans’ chances of being integrated in the South. A 1963 Gallup poll found that only 23 percent of Americans approved of the anticipated March on Washington, where King gave his landmark “I Have a Dream” speech. Still, some politicians now summon King’s memory to chastise modern-day protesters. Mike Huckabee in 2015 said King would be “appalled” by Black Lives Matter. In 2016, Atlanta Mayor Kasim Reed said that King “would never take a freeway,” apparently forgetting about King’s role in the march from Selma to Montgomery. More recently, online commenters last week dismissed a New Yorker cover depicting King kneeling with NFL players Colin Kaepernick and Michael Bennett, saying King would not support the players’ protest. “There is a way people use King as a shield to avoid having to confront racial injustice in the present,” said Jeanne Theoharis, a distinguished professor of political science at Brooklyn College. “They say, ‘I like Martin Luther King, but no thank you to this.’ There’s a comfortability to that.” Theoharis’ upcoming book, “A More Beautiful and Terrible History,” discusses distortions of the history of the Civil Rights Movement. As a society, we should not use our admiration of King as a defense that prevents us from acknowledging that racial inequities have persisted since his death. We do not honor King by using his legacy to disparage those following in his footsteps.